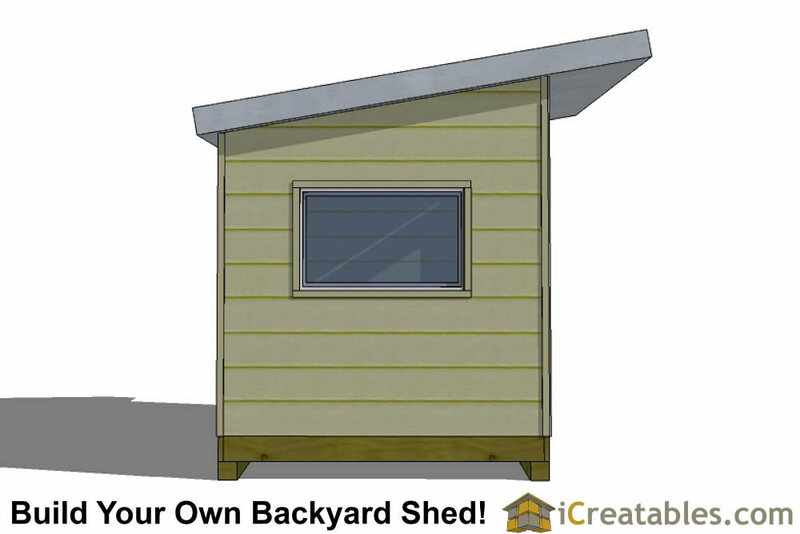 The 8x14 office shed plans are designed to build a modern shed that can be used as a office or studio workspace. 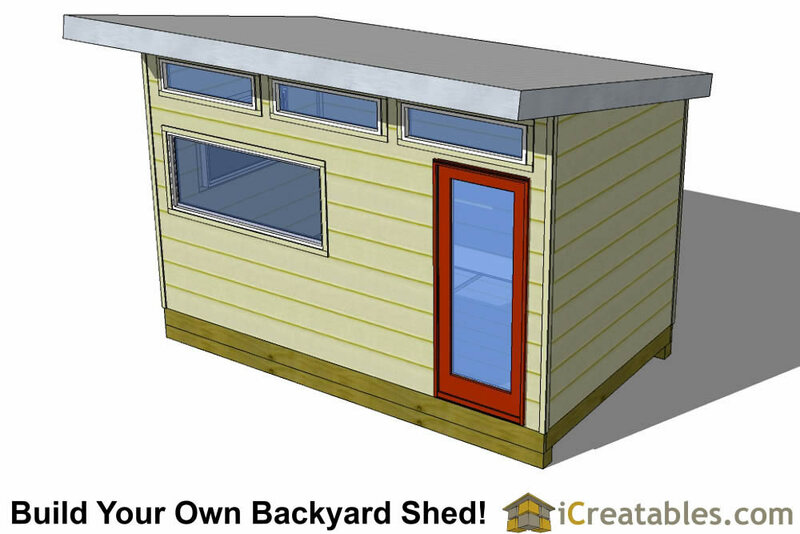 The modern studio shed can be built without windows. 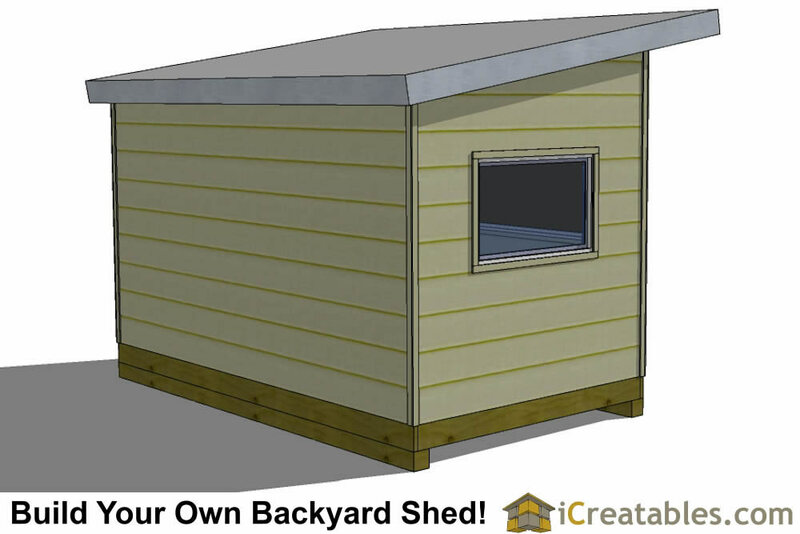 This modern shed can be used as a office shed or studio shed or whatever you like. 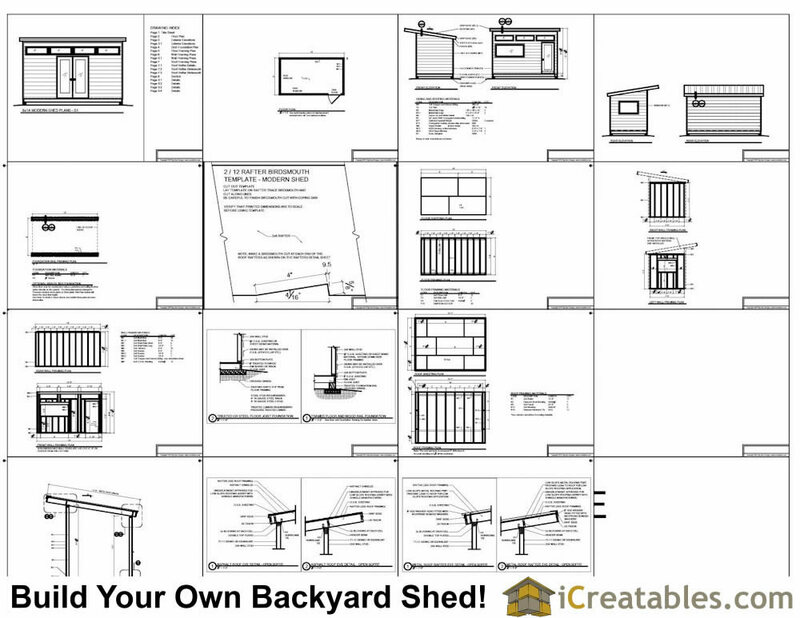 Materials List:The shed plans come with a complete materials list that is broken down by parts of the shed. Foundation: 2 different foundations are included in the plans; Wood skid and treated joists on gravel bed. Walls: 2x4 framing at 16" on center, 7/16" O.S.B. sheeting that allows most sidings to be applied. 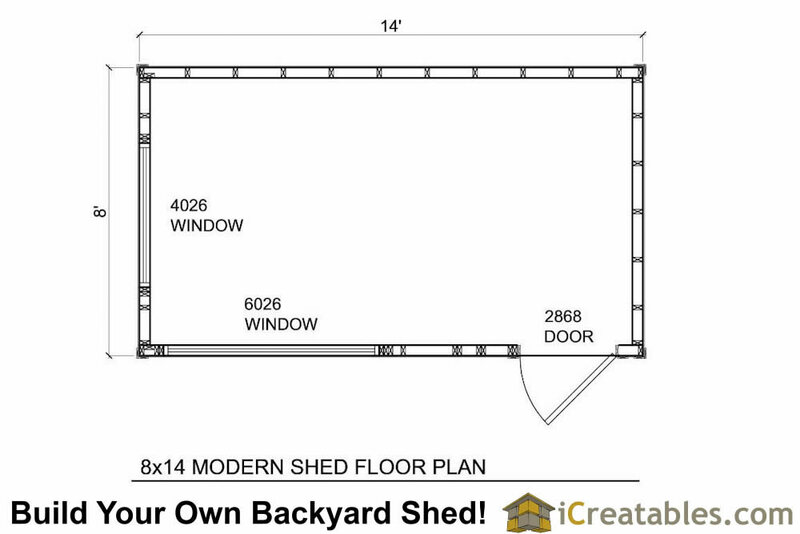 The lower shed wall height is 7'-5"
Door: The specified door is a 2868 full glass residential home pre-hung door. Windows: The upper windows are 3'-9" x 1'-0" fixed and the lower windows are openable 4'-0" x 2'-6". 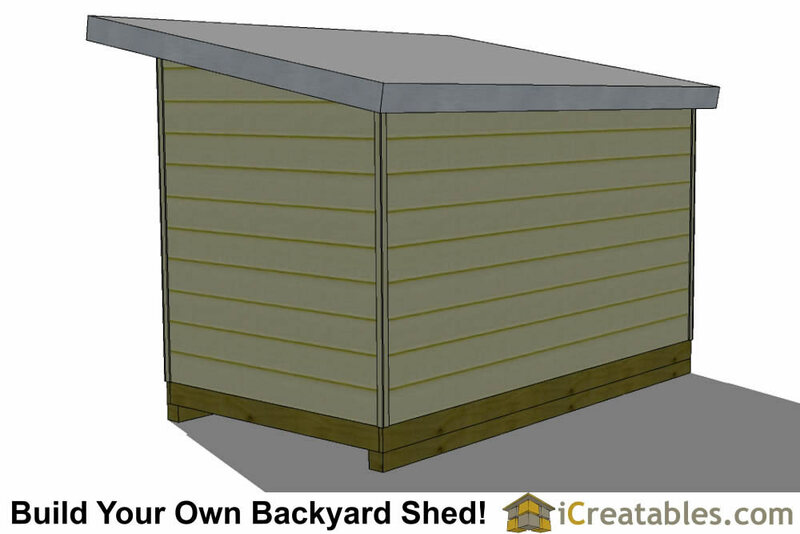 and 6'-0" x 2'-6"
Roof: The roof is framed using 2x8's at 24" on center. 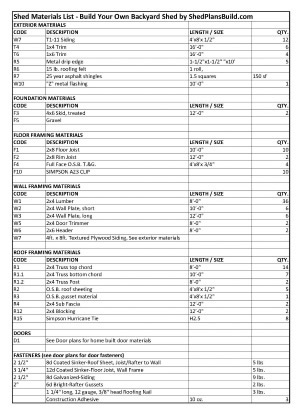 It is sheeted with 1/2" O.S.B. Roof Pitch: 2/12, this means that for every 12 inches of run horizontally there is 2 inches of rise. 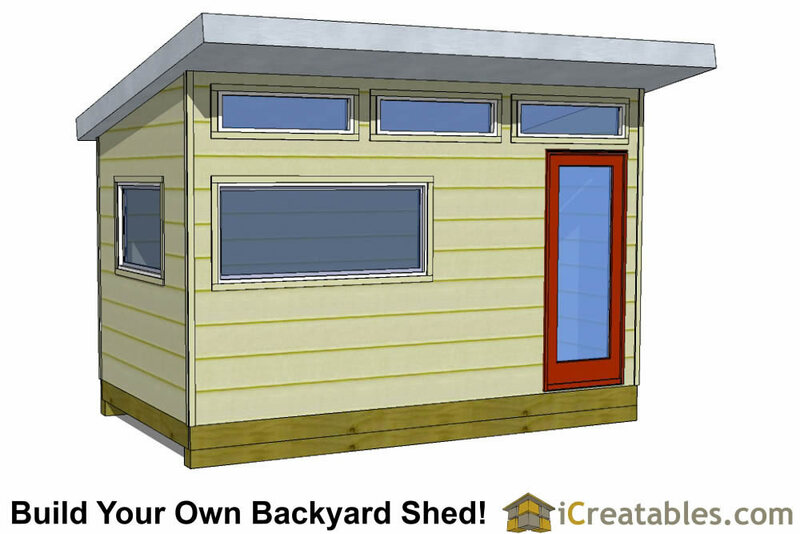 Siding: 1x8 Tongue and groove siding is specified on the plans. But most sidings that can be attached to O.S.B. sheeting like Vinyl siding, Cement board sidings, Wood lap sidings, Metal panel or Metal corrugated and Stucco, may be used.